A switch on the front of the microphone allows selection of three polar patterns: Cardioid, Omnidirectional, and Figure-of-8. The microphone also has a switchable -10dB pad, and a high-pass filter (-12dB/octave @ 80Hz); the pad and filter switches are on the rear of the microphone body. The MP has lower sensitivity (7.9 mV/Pa vs. 17.7 mV/Pa). The MP has higher self-noise (14dBA vs. 9dBA). 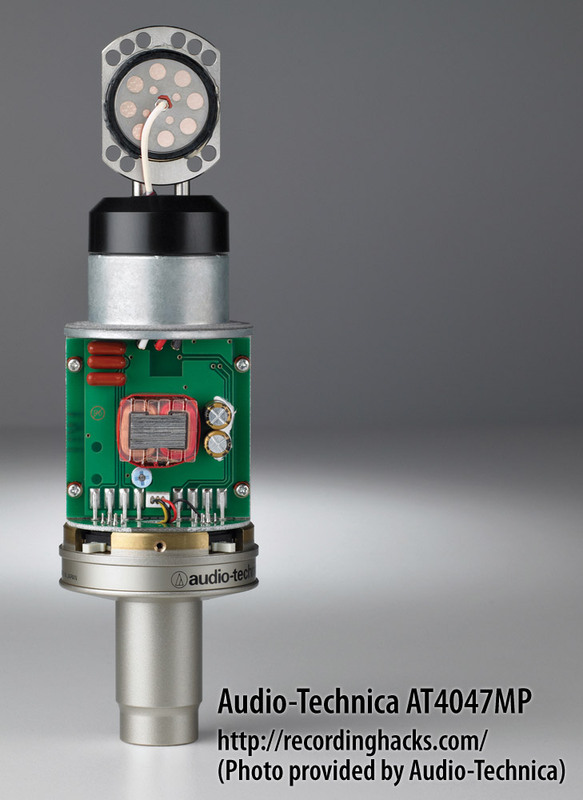 The mic’s center-terminated capsule is covered and surrounded by a “precision-machined, nickel-plated brass, acoustic element baffle.” Audio-Technica literature states that this perforated metal plate provides stability and “enhanced sensitivity.” It also acts as a passive equalizer. 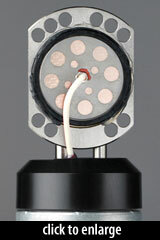 The membrane of the condenser capsule is 2 microns thick, and has an active diameter of 21.4mm. 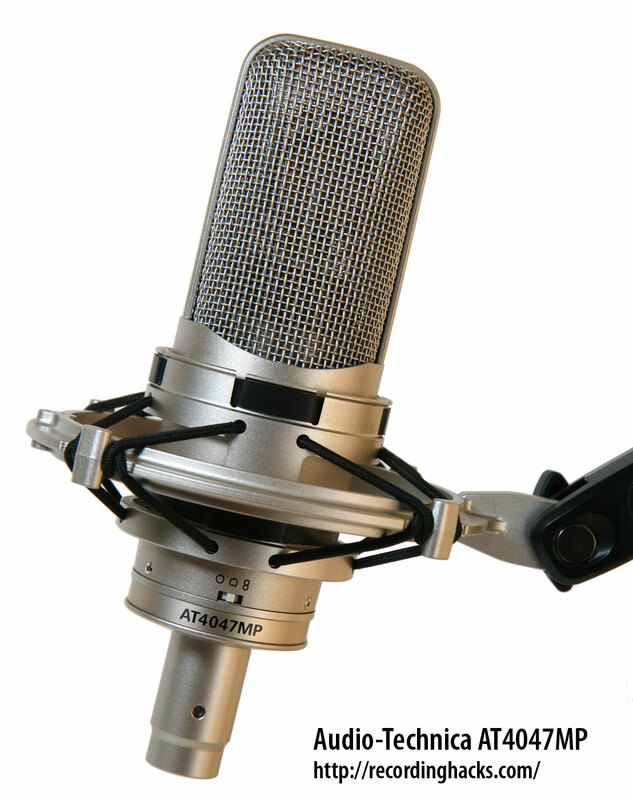 The microphone’s included shockmount suspends the base of the mic between two elastic bands, which invariably roll and twist as the mic is inserted. 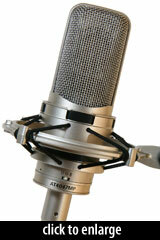 The longevity of these elastic bands appears to be at risk if the microphones are detached from the mounts repeatedly.